This is a guest post from Tanja Gardner of Conscious Introvert Success. Let’s acknowledge up front that I’m NOT the world’s most organized person. Before I start talking about the miracle of systems, I want to acknowledge that I have a weird brain. You see, I love creating elaborate systems. Sticking to them though? That’s a very different matter. I think it has something to do with one of my core values being flexibility. I might crave structure, but as soon as I start feeling locked in or trapped by it, my inner toddler rebels. In other words, I’m hardly a poster child for a “natural born systematizer”. Like many introverted business owners, managing my energy is a huge focus for me. In fact, in an informal poll, 30% of the folks who signed up for my last webinar said overwhelm/energy drain was THE biggest issue in their business. So when I realized that the right systems wouldn’t just make me more efficient, they’d also help me make the most of my limited energy reserves? That gave me some serious incentive to figure out systems I could actually stick to (at least most of the time). And the energy I’ve saved by implementing just a few of them in my business has been dramatic enough that I’ve become a systems evangelist. No matter how awesome a system might be, I was never going to use it 100% of the time. Designing something that would fall apart the first time I slacked off, therefore, would be an exercise in frustration, and an immense waste of time. Whatever I created for myself didn’t need to be perfect: it just needed to save me more energy than whatever I was doing previously. “Progress, not perfection” has become one of my favorite mantras. On that note: no system will be “forever and ever, amen” either. My needs will always keep changing over time. As they do, things that used to work perfectly will no longer fit. Because of that, I expect to have to keep tweaking things – and maybe even eventually replace the system altogether. Meanwhile, something just has to work for me NOW. So when I talk clients through the process of figuring out what systems they need to save them energy, that’s where I suggest they start. I know from experience that the pressure to get a system “right first time” can often stop me from doing anything. Knowing that all it needs to be is better than what I have right now helps immensely. The defining characteristic of introversion is that we introverts tend to spend energy on interacting, and then recharge by being alone. Of course introversion’s only one of the many aspects of our personalities, which means interaction’s not the only thing that drains our energy levels. For most introverts, however, it’s a pretty big one. Many coaches I know work with the Pareto Principle, AKA the 80/20 rule. When it comes to energy management, applying this rule means ~80% of the energy drain in your business probably comes from ~20% of your activities. For most introverts, the activities in that 20% will fall within the most interaction-heavy areas of their businesses. (Not sure which activities are in your personal 20%? Check out this free guide to figuring out your individual energy drains). Identifying my own interaction-heavy areas helped me to figure out where in my business systems could make the most difference to my energy levels. For email: I tried to stop working with my inbox open 24/7, and set boundaries around when I’d check and reply to email. I started using Gmail’s filters, tabs and labels to help pre-organise what I see in my inbox, and reduce the temptation to action the non-urgent stuff. And I started using Leechblock to lock down Gmail when I wasn’t “meant” to be using it. For social media: Much like with email, I tried to stop working with my main social media sites up 24/7. And again, I set boundaries around when and for how long I’d interact on each one, and locked down the sites at other times. 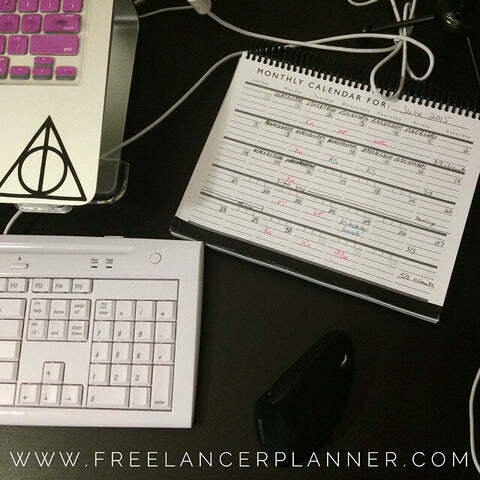 I also made a point of pre-writing and scheduling a lot of my posts each month using a buffering app (Hootsuite). That pre-scheduling doesn’t replace interacting – but it does mean I get more social media presence with less unnecessary interaction. Of course, none of these systems works 100% perfectly for me. Some weeks I feel like superwoman because I’ve more or less used them as planned on multiple occasions. Other weeks I slack off, or stress out, or for whatever reason forget I actually *have* a system. Sometimes I even beat my own Leechblock lockdown by bringing up email/social media in a different browser or on my phone. But like I said above, my systems don’t need to work perfectly. They just need to work better – and free up more energy – than not using them would. And that, my friends, has definitely been the case. While systematizing the unnecessary interactions in your business will definitely lower your energy spend, it’s not a cure-all. It doesn’t keep you from getting caught by overscheduling, insufficient recharging, or comparisons: the 3 Top Energy Sinks for introverted business owners. And it doesn’t help you figure out how to best recharge your energy levels once they become depleted either. Want a more comprehensive guide to ensuring you have enough energy to get what needs doing in your business done? Check out Energy Management 101: it’s a complete training pack for heart-based introverts who keep finding themselves exhausted by their businesses. And of course, if you have any questions about systems and energy management, just let me know in the comments below. Tanja Gardner is a deeply introverted (but not even *slightly* shy!) heart-based entrepreneur who started business life online as a copywriter for difference-makers. Somewhere along the lines, she discovered she longed to help introverts like her to build their businesses while honouring their introversion. So she started Conscious Introvert Success: a treasure-trove of introvert-friendly information and resources. You can check out Tanja’s thoughts about everything introvert-related on her blog, or follow her on Facebook or Twitter. And if you’re want to learn introvert-friendly ways to manage your energy, her brand new Energy Management 101 training pack is just $47 until this Friday. Hi Michelle – thanks so much for letting me come “play in your sandbox” with this post. Hope your peeps find it useful! Love the fact you mentioned we don’t necessarily need to stick to a system 100%. I’m a free, flexible spirit and I hate systems that break when I don’t adhere to them completely. But I recognize the need for having some kind of system in place. Having designated times for reading email and interacting on social networks helps me as well and I think it’s very important for people, especially introverts, to monitor their social networks usage. Absolutely, Nela: one of my biggest breakthroughs around systems is that they could be a support structure, instead of a cage. I think sometimes the hardest thing for folks like us to figure out exactly how much give we need in our systems. If there’s way too much, we often don’t get anything done; but if there’s too much, we end up breaking them fairly quickly and abandoning them. I know that the answer’s different for everyone, and I suspect the only way to figure it out is to try different options and be curious about the results without beating ourselves up when things aren’t perfect straight off the bat. These are really good, actionable tips Tanja. I’d add in that planning your most important priorities would be a good place to start. It’s OK to block social media sites and email, but if you don’t have a “why” it certainly won’t stick.